This final issue of Unbeatable Squirrel Girl sees our heroine facing off against Ratatoskr - an evil girl squirrel from Norse Myth out to destroy the Earth. But enough of that. 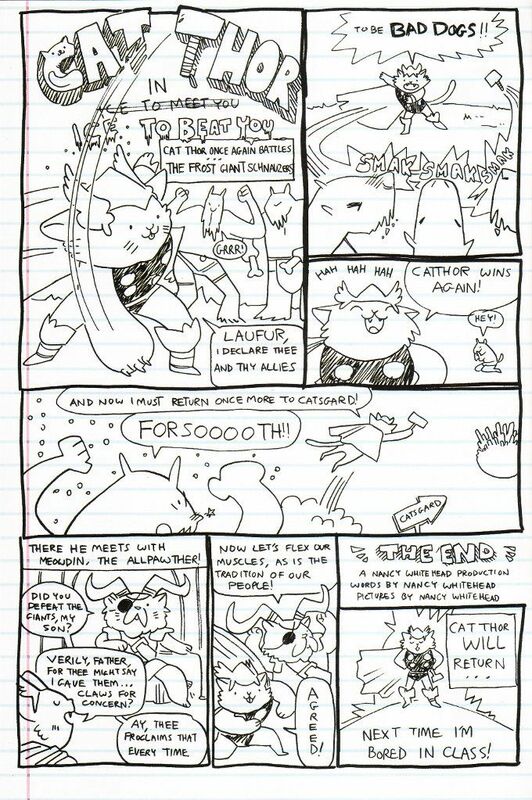 The real star of this book is Cat Thor! You heard me. Cat Thor! It is a cat with the power of Thor! And it is the greatest idea ever! Such is the power of Cat Thor that even proud Loki decides that from hence forth he shall be Cat Thor! He wields a hammer that is shaped like his own adorable and colossal head called Meowler - the most adorable and deadly weapon of all! All hail Cat Thor! 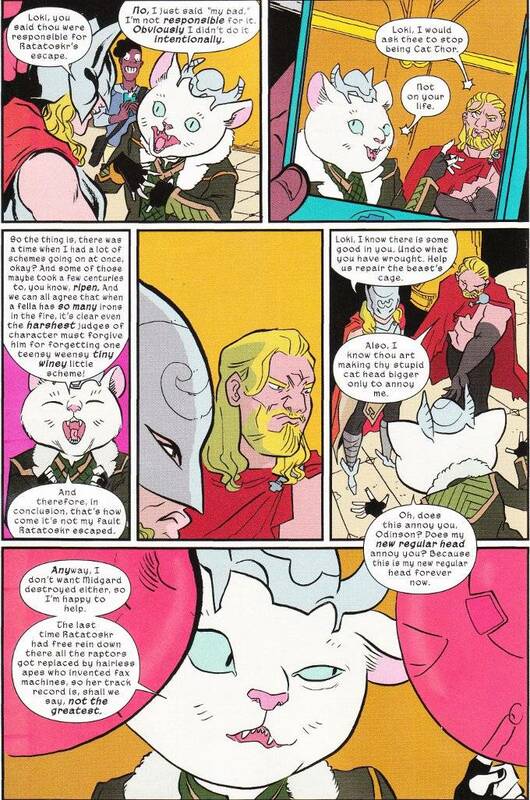 Of course the script for this book is wonderful, because it gave us Cat Thor. And the artwork is amazing - even the bits that don't involve Cat Thor! But then, is there ever any way to have enough Cat Thor? I say thee nay! A new Squirrel Girl series will be starting up soon. Alas, Marvel has yet to announce that Cat Thor will be getting his own book. Maybe once Loki: Agent of Asgard ends? Until then, pester Axel Alonzo with messages demanding a Cat Thor book as soon as possible. Cathoooooooooooor!